Digital – the buzzword used or over-used for quite some time now, brings in a huge impact on the financial & banking industry. Digitalization or Digital transformation is nothing but the restyling of financial services. Right from customer services to machine learning, from Artificial Intelligence to mobility; the finance industry is modified from complex, time-consuming operations to a more simplified structure and right at the helm, leading this transformation lies Revolutionary Financial Technology (or FinTech) Companies. Digital transformation is utilizing technology such that it re-creates into efficient operations & processes. Digitalization is not a replacement to the traditional systems but utilization of technology to make the existing system or services significantly better. 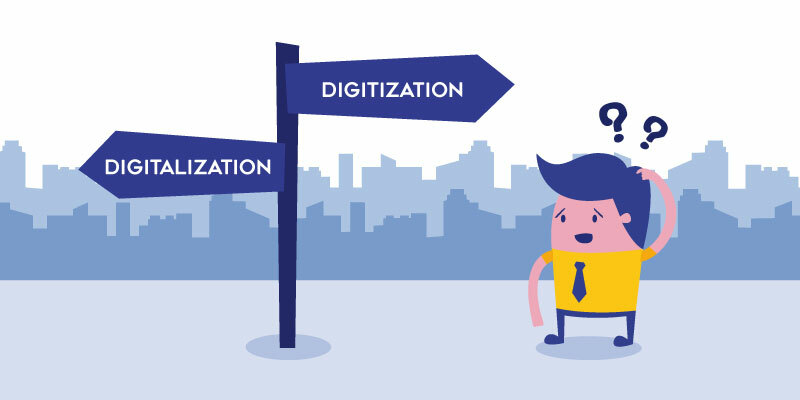 So, what exactly is the difference between digitization and digitalization? People often get confused in these two terms. So, what exactly is the difference? Many find them similar but Digitization is the process of storing, converting, processing or transferring information in a format recognized by computers. Whereas, Digitalization is the change in social, business and economic behavior on the adoption of new technology. The essence of digitalization is the way consumers, businesses and the government adopt & incorporate technology to collaborate with systems, processes, people and the entire business community. One of the best examples of digitalization is the Apple watch. The Apple Watch is a perfect specimen to understand digitalization, it shows how a normal watch can be transformed into a watch with a phone, messaging and internet capabilities. Another good example is the mobile numbers linked with Aadhar Card (Unique Identification Number for residents of India) which in turn is coupled with the financial account of consumers. However, it is not only technology but the changing corporate scenario, business processes, and operating culture, that drives digital transformation to success. The financial projects eyeing digital transformation are long-term, massive in scope and comes with risks too. Though many consider digital transformation a hype or the confusion, it does involve a sincere & serious change in business spectrum. 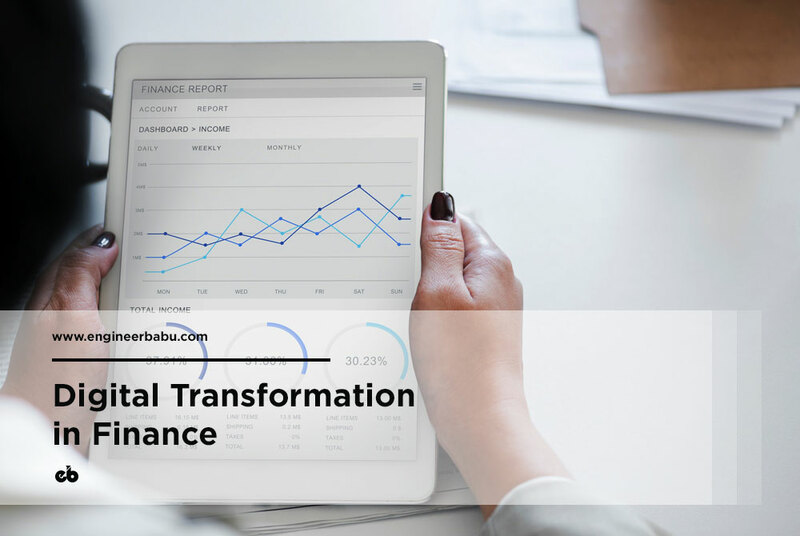 Since the time digital transformation entered the finance domain, there have been many surveys and research to understand the importance or impact of the same. Digital transformation technology calls for an investment in hardware, software and sometimes even in products or services. Gartner survey with financial executives from huge corporate establishments revealed that 62% feel digital transformation is a management initiative while remaining consider it as a part of optimization. 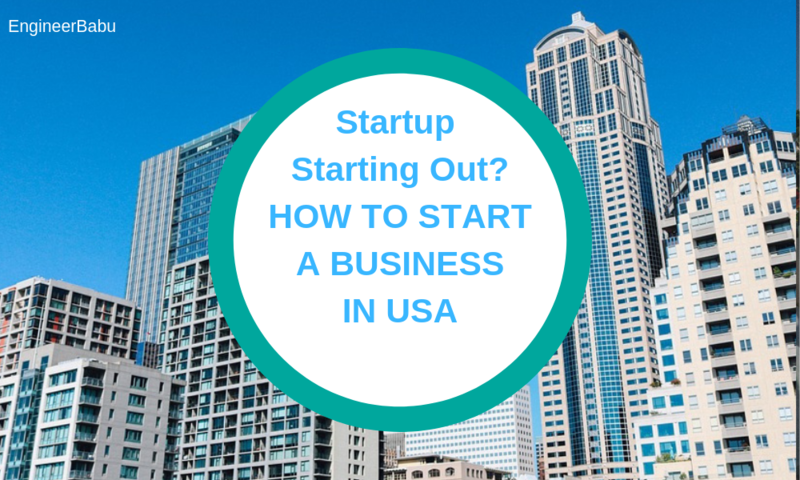 Also, many companies are keen on investing in technology that can speed-up their businesses. In fact, companies opt for investing in digital transformation to differentiate from their competitors. Digital disruption has heavily impacted a variety of habits and behaviors of the professional world. Technology combined with smartphones and the internet provides numerous benefits to the customers as well as to financial establishments. Previously the implications of digital transformation were unknown as people were concerned about the transition from manual to the digital world. However, the scenario has changed now. With tighter regulations and changing customer demands, the financial applications and systems have become nimbler and progressive. For financial establishments, digitalization is more than just adopting technologies such as cloud, big data, social media or mobile. It is aimed more towards creating new business models to develop an eco-system where all markets & consumers could participate. Thus, organizations focus more on capitalizing with new and emerging technologies that help them in positioning and transforming the teams into high performers. Digital transformation enables digital tools to enhance productivity & efficiency and change of hard paper documents to secured PDF or HTML formats. The days with an application form and product sheets are gone. The sales team & field officers are now empowered with smartphones and other portable devices where information can easily be displayed. Many financial services providers have embraced digital transformation. However, many companies have taken hold up approach of observing the developments and then decide on investing in digitization. Digital transformation comes with its share of risks, and hence a setback approach is a safer route. Digitalization has positively impacted the economic growth and has accelerated the growth of innovations. Many are on for a debate that there is no economic growth, but the signs of potential positive impact are quite visible; the best examples are the mobile banking apps, mobile money, and e-wallets. With the introduction of banking apps; Mobile Money and E-Wallets have taken a center stage in Finance all across the world. 1. High Standardization: Finance functions are always considered as high performing. When these are integrated with technology systems with standardized processes and data; leads to a high standardization. 2. Highly Automated functions: Adoption of new technology tools lead to higher process automation for services such as money remittance, procurement orders, invoice generation, and KYC verification. 3. Faster Performance: With the adoption of big-data and other machine learning tools in finance, it is easier to predict and forecast budget allowing teams to finish month-end cycles before time. 4. Insight-driven functions: Digitalization has modified financial models in such a way that the resources concentrate more on deriving insights rather than focusing only on transactions. 5. Improved customer and employee experience: The same level of information is available with customers and employees and thus less chaos in transactions. 6. Better Service Delivery: The legacy systems integrated with new technologies have changed the finance’s operating model. The structured processes have improved service delivery. Financial organizations now implement these strategies and they can digitally transform and automate their processes. The impact is such that there has been a drastic improvement in performing customer operations in a lesser time-frame. The automation has lead financial companies to meet regulatory deadlines, achieve operational and transactional risks and still stay competitive by investing in technology. Digital transformation has assisted in automating monotonous tasks, management of compliance and accounting & operations functions which include accounts, reports & analysis. Digitalization also reduces the possibility of cyber risks and minimize errors that occur due to the execution of robust strategies. Despite the positive impact of digital transformation, critics believe this is a wonderful opportunity for tech vendors to restyle their services & products and sell them in the name of digital transformation. Well, another critical point to note here is that none of the tech guys spend their working hours digitally transforming or innovating, but instead spend time in programming, coding, and development. However, critics do not realize that this coding, programming, and development is what makes a system perform in a particular manner. The technology drives these systems and hence the transformation. Why digital transformation matters in finance? 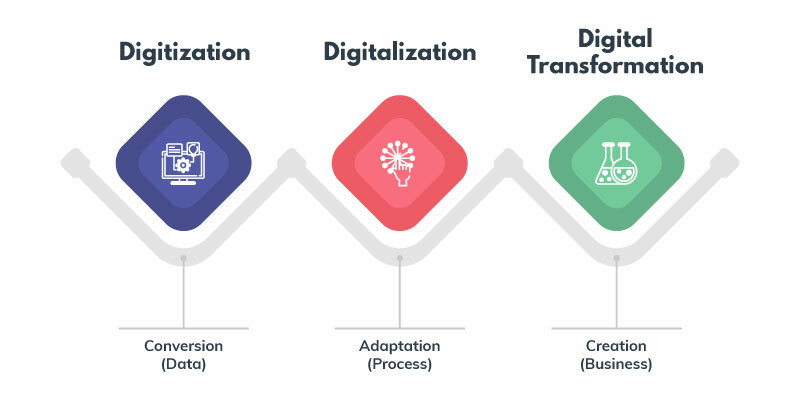 Digital transformation may only seem to be a buzzword, but as they say, there is more to an iceberg than appears on the surface, there is definitely more to our story of digital transformation as well. The concept of digitalization assists financial service executives in altering the already set rules, and the economic growth is quite visible. The customer-facing mobile apps are the best examples. The increasing number of people relying on the mobile and online banking applications, the financial and banking services are on a race towards digital transformation. The more convenient an application is for customers, the more is the digital transaction and financial growth. For banks and credit card companies, providing a mobile customer experience with no downtime and faster transaction process is of higher importance. The other financial establishments such as capital markets, funds, and equity market utilize big data and automation tools for data analysis and high-performance computing to track milliseconds of transaction data. A closer look at both the examples reveals that the business is capitalizing on technology to improve customer experience. The primary aim of digital transformation in the financial sector is to be more customer-centric. In financial services, competition is not just with other financial services providers but with anyone offering a real technology and consumer experience. The focus while digitizing financial services or while developing financial mobile applications should be to make the customer’s lives easier. Here, it is essential to make a point that digital transformation is not a technology strategy but a business strategy that makes business swift and quick to respond to the market. Digitalization has unlocked newer opportunities in the banking, credit and capital market functions of the financial domain. There are multiple branch locations, and it is hard to keep a branch right next to the consumer; hence mobile apps that keep your office straight in your hands. Having said this, many financial institutions still rely on their legacy systems that run on IBM frames and are built on COBOL. These systems, however, cannot be upgraded or updated as the developers too have moved to the newer technologies. It is a considerable challenge for some financial services companies to pull out the data and get on to the modern technology-based system. Other than the integration of the legacy system with advanced technology, the keenness to embrace digitalization by company workforce was also a challenge. But with the disruption in existing services and products, it is essential for companies to focus on acquiring new skills and technology. The key to surviving in a digital environment is to adapt and adjust to the changes. CIOs take this responsibility to adopt the changes and lead the transformation. Though the right technology will outgrowth the efficiency, it is the workforce that ensures successful implementation. The digital tools meant for financial services industry focus more on improving and updating the existing competencies and core systems. There are other exponential tools too that are intended to deliver new capabilities. The benefit of adopting cloud in finance is unquestionable. Cloud brings further acceleration and swiftness. Cloud technology in financial services expedites new digital workflows enabling effective interdepartmental collaboration or collaboration between business and third parties. The financial institutions use SaaS-Based cloud applications for business processes such as HR and accounting. As the workforce and the team heads get comfortable with the application, it gets integrated with the core systems.Financial services/solutions find security & compliance as crucial problems. However, with cloud-enabled applications, it is easy to scale data for critical functions such as credit scoring, consumer payments, statements and billings for essential account functions. Also, data speed is vital for financial firms to stay competitive and in effect. Financial services industry is the primary target for cyber criminals, owing to sensitive personal information. The quickness of cloud safeguards the critical data, digital financial assets, and user information while protecting the employee performance. One of the hottest entry in the financial services vertical is the robotic process automation. Financial establishments work on multiple technology systems and process robotics assist in automating transaction processing and communication across various systems. 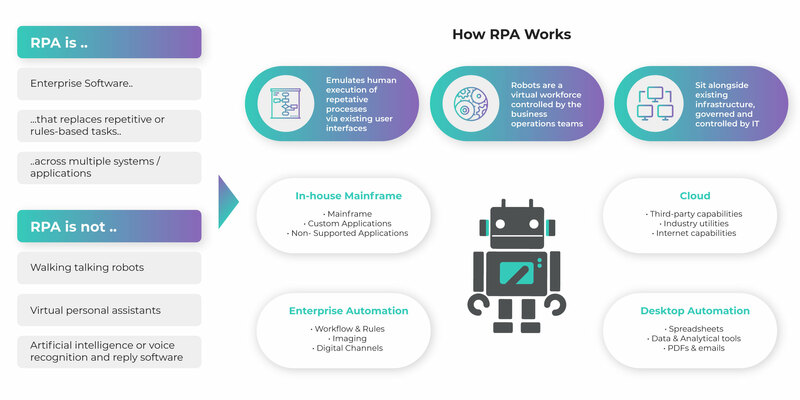 RPA efficiently replaces human involvement and consequently reduces human errors in the process. Process robotics will enhance the functionalities of legacy systems by lessening inefficiency and addressing the manual intensive activities. Although Process Robotics is at a testing state at a few organizations but is working exceptionally well to support legacy systems. When it comes to communicating across multiple departments within the financial organization, data visualization is the key to attain insight. Business executives have an enormous amount of data but communicating in regards to same was an issue. Data Visualization is the key to attain meaningful insights. However, with data visualization, one can easily track and predict organizational performance. The financial sector is considered as the data hub. With data visualization, the analysts can explain complex data, trace intersections of information and present details based on this analysis that helps in forecasting organizational performance. It is estimated that more than 65% of people are visual learners. Data visualization technique provides decision makers with detailed visual data illustrations so that they can understand the analytics through visuals and make informed decisions. Data visualization can also help the financial sector in identifying new and additional trends for interactive features and more profound insights. In fact, data visualization is used by the financial leaders to track KPIs- financial and non-financial both. Also, these financial leaders improve team performance by correlating the KPI metrics and data analysis. Today, there are several different channels through which the customers interact with their financial services provider. Because of the multiple channels, there is a load of customer data being collected by financial organizations. This data can be effectively leveraged using Artificial Intelligence or advanced or predictive analytics to gain insight into consumer behavior. Advance/predictive analytics can assist financial establishments to optimize their processes thereby reducing costs. Predictive Analysis is best used in applications such as Fraud Detection. The dashboard of predictive analytics reports prompts and provides notification on anomalies in transaction data. Other than detecting the anomalies, the advanced analytics software can assist in collecting, cleaning and analyzing raw data. The analytics also assist in identifying customer trends by predicting marketing efforts and analyzing customer past and present online behavior using machine learning algorithms. The combination of human judgment with automation and advanced analytics provides an ethical oversight to the business. Cognitive computing is yet another constant disruption in finance. It is the technology that makes use of natural language processing, machine learning, speech recognition, and computer vision to stimulate human thinking. For financial organizations, it is essential to collect, analyze and use data to improve decision making. An idea inspired by cognitive computing. While chatting or performing financial transactions through cognitive computing, the avatar responds in different facial expressions according to the content of the conversation. It makes it appear more like a face-to-face conversation, enhancing the facial expression/emotion that is usually missing. It enables financial organizations to obtain personalized information about the customers and use the same to notify about payments, bills, and other reminders. Cognitive computing also offers suggestions regarding exceeding customer payments and other intelligent automation services. The cognitive computing also ensures the creation of conversation interfaces for placing customer queries and responding to them. Chat-bots are the best example of AI-powered digital assistants, developed to respond to customer queries thereby improving consumer services and CRM. Robo-advisors too are a part of cognitive computing but are not AI-powered. The Robo-advisors use algorithms to read through data and come up with a suitable suggestion. Cognitive technology works similar to human thinking but is considered as key to security. Protection of financial data is vital; hence cognitive computing is the solution. With complex laws and regulations within the financial sector, poor knowledge of data policies can make finances a challenge for customers. With cognitive computing, real-time updates on rules and real-time implementation of the policies help in keeping policy documents updated and encourage good compliance. Cognitive computing has enabled real-time trading analysis and improved trading systems so that customers can be served faster and better. Cognitive computing has been beneficial for both the company and customers. Apps enabled with algorithms, machine learning, digital advisors and improvement in cyber security have positively impacted customers to manage their finances. With financial companies dealing an enormous amount of data, higher transaction volumes and increasing compliance; there arises a need to address real-time data analysis challenge. If it is finance, it has to be high performing, but with enormous data load, the efficiency can be at stake. The massive amount of trading and accounting data calls for a robust infrastructure, with high speed of transactions and in real-time. In-memory computing platform addresses these challenges. The information is stored in the main random access memory of specialized servers. This means that it eliminates the delay while retrieving data from servers. The 24-hour mobile banking pile up huge data and at the same time the regulations, exchange rates, interest rates, share prices, etc. are also required to be updated. The in-memory computing platform offer users with real-time information and calculation. It also provides information around commodity trading in real-time at an excellent speed for the users to experience a never before financial experience. One of the most trending digital tool these days is Blockchain. With the advent of Blockchain technology, the financial services industry is considered to have entered into a new digital era. This new technology has changed the way we think about transactions and has revolutionized the economy. Blockchain technology stands out of all the technologies that have disrupted the finance vertical. Blockchain powers decentralized digital currency also called as cryptocurrency. In Blockchain technology, encrypted blocks of data are considered as currency and are shared during transactions. Blockchain technology makes use of advanced encryption techniques to verify currency and transaction. Blockchain technology ensures that only the authorized users who own the part of Blockchain can edit the data using the private key. Smart Contract is one of the most attractive applications of Blockchain technology. It automates the execution of commercial agreements and transactions. As Blockchain technology entertain no middlemen, smart contracts are considered more secure than the traditional agreements that adds up cost for the middlemen. It is also believed that the Blockchain technology will assist in fraud reduction, enable one time KYC process, efficient & cost effective trading, and many more. The technology may sound a promising one, but still many challenges need to be addressed to transform the finance and banking sector with Blockchain technology completely. It is essential for commercial establishments to undergo digital transformation to appeal, capture and maintain the attention of consumers.